As with all great things, the Exterface world is the result of a chance meeting. The story of Exterface began some years ago, when Stéphane and Julien met whilst studying art and communication in Paris, a city that still serves as their playground today. It was quickly understood that they shared the same passions; photography, graphic design and appreciation of the male form in all its glory. 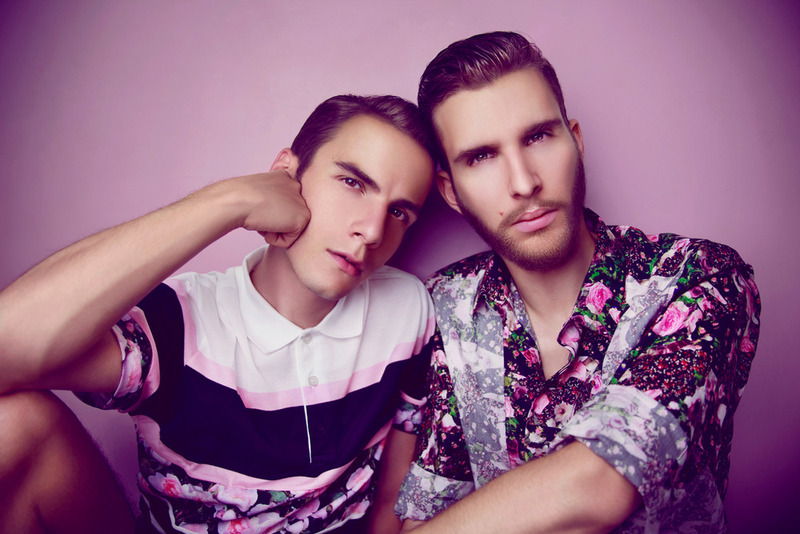 Embarking on professional careers as graphic designers for large French firms, Stéphane and Julien used their free time to explore their passions further and began to experiment with photography and design, using themselves and their friends as subjects. Social Media and various digital platforms created a space from which their work could be easily shared and it wasn’t long before intrigue led from one thing to another. Online publications that cover fashion, design and photography were soon demanding to know more about the creators of these images that celebrated sexuality, the human form and our darkest fantasies. As their notoriety started growing, Stéphane and Julien ran several exhibitions between Paris, London and New York City, released two books (The Thing He Loves and X - The Ten Faces of Fred Faurtin) and have created iconic images that have been published in numerous magazines and on web pages the world over. It was in 2011 that they took their work to another level, launching their own digital independent publication called 'Muto - The Exterface Manifesto'. This bi-monthly publication was met with such success on the web that they decided to produce limited edition prints of the publication. Muto pushed Exterface’s global presence to all new heights, supplying Stéphane and Julien with a platform for which they're in charge of all artistic aspects and one that helped them transcend the digital realm into the printed. Although the duo has always been known as Exterface, it was in 2012 that their brand name was finally made official and that the Exterface Company was established. 2012 also saw the arrival of the Exterface store that offers their work to their global audience, allowing us all to be a part of the Exterface world. Recently, they've been engaged to shoot and produce the one-of-a-kind Kick Sagat 2014 calendar, this was the starting point of a long term collaboration with the brand and its iconic creator, François Sagat, including a worldwide first campaign and the 2015 calendar, entirely shot in the French Alps. In March 2015, Muto was back in print as a unique and sensorial experience, in limited edition available on the Exterface online store.